The big question buzzing on Monday is would Vince McMahon bury the hatchet and pay tribute to the WWE icon with class or even at all? The WWE did indeed pay Randy Savage tribute with an emotional video package on WWE RAW, but was it enough? This blogger says absolutely not! There were rumors buzzing all weekend speculating on how Vince McMahon would pay tribute to one of his greatest WWE superstars. For those who don’t know, Vince McMahon has had a deep seeded hatred against the Macho Man for years. 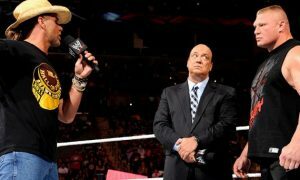 It appeared that Vince was starting to soften as he allowed WWE product featuring Savage to be produced over the last couple of years. But this was different. This was more than a decision about whether a guy should be in a video game or not. This was about paying tribute to one of your biggest icons and a guy that was a huge part of the success of your company. Fans were a little taken back when they tuned into WWE Over the Limit Sunday and all they got was a graphic. Was that it? Was that going to be the RAW tribute? A graphic for one of the biggest icons in the history of the company? The buzz was that the WWE was going to do more on Monday. Fans speculated on everything from Vince McMahon giving a speech on Savage to a video tribute to a 10-bell salute. But at the end of the day it was more important to Vince McMahon to hold onto that grudge and do the minimum than pay the Macho Man the respect and celebration he deserved. Before I go on I think it is fair to talk briefly about that grudge for readers who aren’t aware of the history. Randy Savage left the WWE for WCW in 1994. 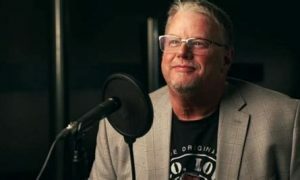 But plenty of former WWE employees from Hulk Hogan to Jesse Ventura to Curt Hennig to Kevin Nash have left for WCW and returned to the WWE with open arms so that wasn’t it. Well according to some people, Savage had assured Vince he wasn’t going to WCW and caught McMahon by surprise when he left. According to the rumor Vince was so angry that someone gave him their word and lied to his face that he vowed never to do business with Savage again. There was also a nasty rumor for years about Savage and Stephanie McMahon. Roddy Piper recently addressed this age old question on Twitter when he said the rumor was false and that Savage was blacklisted because he slapped McMahon in a bar. I am even a little dubious of that. For one thing, if anyone saw it I am sure we would have heard about it by now. Additionally, it is an easy answer that would have squashed a lot of nasty rumors over the last several years. I love the Rowdy one, but I think he is just doing a little damage control here. Hell, Bret Hart punched (not slapped) Vince in the face and was just on RAW last night. I am not the only one suspect of Roddy’s story. Sean Waltman sent a tweet that he respectfully disagreed with Roddy and didn’t believe the story. Waltman is close to Triple H and the McMahons so I would lean a little more towards him as a source here. I don’t know if Piper is telling the truth or trying to save a little face for his friend. Regardless, there is something here because nobody with the legacy in the WWE that Randy Savage has gets blacklisted over something petty. Respected pro wrestling journalist Dave Meltzer recently wrote that he believes the rumors about Stephanie and Randy Savage are indeed true. Meltzer cites countless former high-level WWE employees who have told him that they heard the same story. Meltzer further believes that McMahon didn’t know about this before 1996 so there was no blacklisting of Savage before then. While Stephanie, Vince, nor Savage ever confirmed the story, Meltzer believes the story is true due to the level of hate Vince has for Savage which reportedly runs deeper than anyone else on record and that says a lot. It also may explain Vince’s reluctance to do anymore than what was necessary on Monday for the Macho Man. The grudge whatever it is has made Savage an unapproved topic in Vince McMahon circles. Those close to Vince have been met with anger whenever Randy’s name was brought up for the WWE Hall of Fame. I just watched an interview with Savage from around 1998/99 where he was a free agent and said that he wanted to go back to the WWE, even though he was doing appearances for WCW without a deal. So how do you handle paying tribute to a guy that meant so much to the fans and wrestlers in your company when you wouldn’t even allow his name to be mentioned in company meetings not to long ago? That was the million dollar question going into Monday night. WWE RAW kicked off the broadcast with a graphic. Within minutes the social media world was buzzing about the absence of a lengthy Macho Man tribute. Needless to say fans were angry, very angry. I was a little surprised but I stopped for a second and thought that the WWE would do something similar to The Rock’s Birthday RAW. My thought was that the show would end with Vince coming out to talk about the contributions of the Macho Man and end with a video. So I was a little surprised at 10:50 when Jerry Lawler started talking about the Macho Man with a big main-event still scheduled to take place. Could this really be the Randy Savage tribute? Indeed it was the tribute. Jerry Lawler talked about the Macho Man and had nice words to say about Randy Savage. Lawler then threw it to a Randy Savage video package. Make no mistake about it, it was a fantastic video. On a side note, my wife who is not a wrestling fan perked up when she saw Savage’s Slim Jim commercial in the video. “I remember that guy.” The point being is that Randy Savage was more than just a WWE wrestler. He was a pop culture and wrestling icon. The video ended and at that point I expected Vince to come out or say something about Savage via video tape. Nope, all the Macho Man got for ten years of making Vince millions of dollars, carrying the mantle while Hulk Hogan left to do movies, a broken marriage, and the most memorable match in WrestleMania history was a 4-minute video squeezed in at 10:50 on RAW. Not good enough Vince, not good enough at all. Randy Savage deserved the same respect that was paid to Owen Hart, Eddie Guerrero, and yes even Chris Benoit when they passed away and more! The WWE gave those men 10-bell salutes, they spliced in career moments throughout the show, WWE superstars talked about their friends and heroes, and the WWE made sure to give these fallen men the biggest tribute possible. Randy Savage who was a much bigger star and icon than all of those former WWE wrestlers (and this is no disrespect here) deserved to be treated as such. 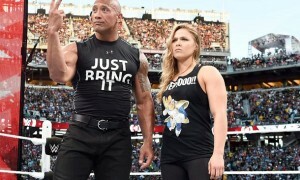 Hell, The Rock got a bigger tribute for his 39th birthday than Savage got for an entire career. That is really inexcusable. What the WWE should have done was bring out the superstars for a 10-bell salute to start the show. They should have played Savage clips and promos throughout the show to remind fans of his legacy. Taped interviews with current and past WWE superstars talking about Savage’s contributions should have been played throughout the show. Bret Hart was in the house and has said some very touching things about the Macho Man over the weekend in interviews and on Twitter. Have Bret Hart come out and pay tribute to Savage! The WWE could have done more than a video tribute and a heel wearing Savage’s tights (who got pinned) in the main-event. It is Vince McMahon’s company and he can certainly do what he wants. Regardless of the root of his venom towards Savage, he not only owed Savage more, he owed Savage’s family more, and more importantly, he owed the fans who grew up on the Macho Man and lost a part of their childhood on Friday a heck of a lot more. But don’t worry. I am sure we will see plenty more of Randy Savage in WWE video games, DVDs, merchandise catalogs, figures, and well you get the point. Update: In an odd twist, Vince McMahon has written a tribute to the Macho Man in this week’s TIME magazine. I have to give Vince a lot of props on this one. Vince could have put it on WWE.com or television to pimp his product but instead gave it to TIME. I find that to be pretty classy. It still would have been nice for him to say something Monday, but at least he paid him tribute somewhere.